The thermometer has finally broken 50 degrees and you’ve probably had a chance to get out on the water at least once – falling in love with your Hinckley all over again. In the spirit of creating more sailing fun and camaraderie among Hinckley owners, we’re awarding the Hinckley Trophy AND a $2,500 credit towards service at any one of our eight locations, for the best overall performance by a Hinckley Yacht in the Corinthian Classic Yacht Regatta presented by Officine Panerai (www.panerai.com) August 9th &10th. 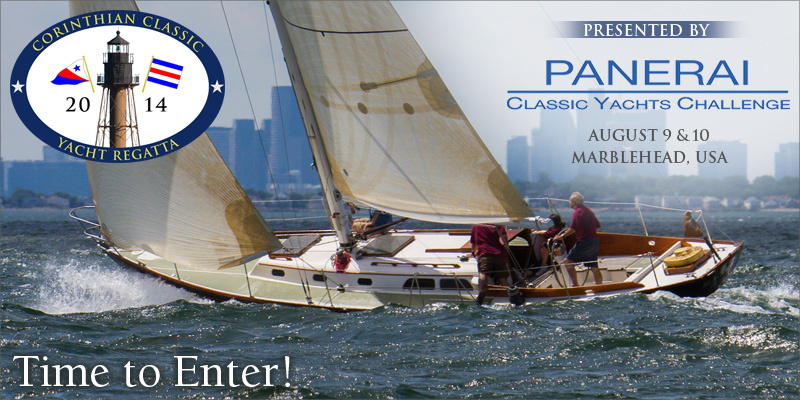 The 2014 Corinthian Classic Yacht Regatta presented by Officine Panerai (www.panerai.com), the title sponsor of the Panerai Classic Yacht Challenge Circuit that takes place in the Mediterranean, Antigua, UK, Marblehead, Nantucket and Newport will be held August 9th & 10th. Long reaching legs will be emphasized and beats will be minimal (Gentlemen do not beat.